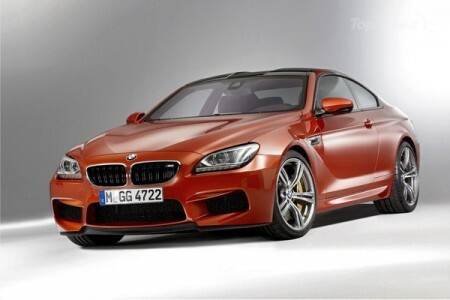 German carmaker BMW has officially introduced the third generation model M6 convertible in the body and compartments. For the first time the name of the M6 was used in 1987 and since then the model is transformed in every way to be a powerful, dynamic and luxurious sports car. Despite initial rumors, the new M6 Coupe refused to use ten-cylinder engine in favor of the eight-cylinder 4.4-liter with technology TwinPower Turbo. Being a modest capacity, the engine boast 560 horsepower power (increase of 5 hp over the previous model). A couple of the engine is a new seven-speed dual-clutch transmission. M6 Coupé is easy to determine how representative the elegant 6-Series, M-badge but the division of the company leaves its mark, making the car more sporty and aggressive. This impression is formed by a larger air ducts, severe contours headlights and new grille, which is located beydzhik and M.